Where did I go for externship? So I traveled internationally for my first time! I participated in the Global Initiatives student exchange program in Australia at Griffith University for the Leadership Capstone course. I was able to develop a stronger ability to connect with people from other parts of the world, enhance my leadership qualities, and heighten my awareness of the Australian occupational therapy and occupational science cultural differences and similarities. 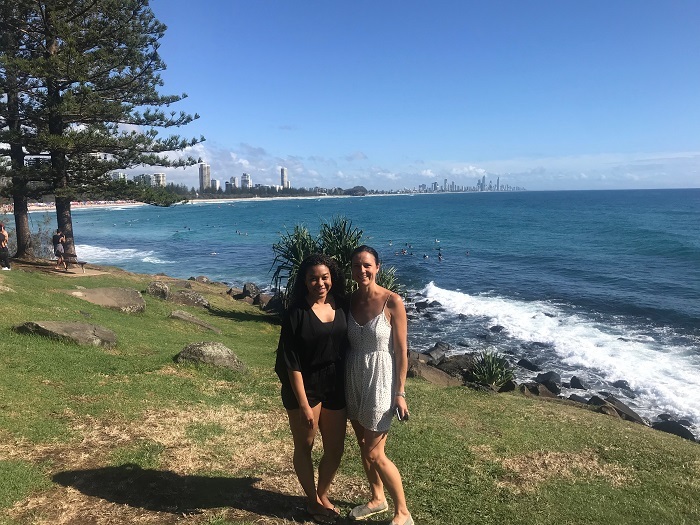 My time was spent observing and shadowing occupational therapists specifically in the Gold Coast in settings such as acute care, emergency, community, persistent pain services, children’s hospital, geriatric, and emerging areas focusing on health and wellness. How did I decide where to go for the externship? The externship is so incredible because you are able to travel anywhere in the world to strengthen your understanding of OT leadership. Some of my friends like Joyce went to Ghana and others stayed within the Los Angeles area like Evan, Melissa and Goeun. The reason why I decided to go to Australia is due to my passion for health and wellness. I have been following an occupational therapist, Mrs. Jacqueline Edser, who I admire via the Internet for over a year now. I decided to apply for the Global Initiatives externship in Australia when I noticed that Mrs. Edser was less than an hours drive from the partnered University. I immediately reached out to her and she was happy to meet! She is an Occupational Therapy member of the Australian Lifestyle Medicine (LM) Association and is currently utilizing her OT skills while delivering LM interventions to employees of the bus and train systems in Australia. She is an occupational therapy leader within the Australian country by focusing on an area of need that is at times overlooked and not staffed with an OT to address preventative healthcare needs. After learning from her, I aspire to take the leadership skills she has given me to deliver occupational therapy informed lifestyle interventions to the population in my surrounding American community. Meeting with Mrs. Jacqueline Edser, an occupational therapist at Burleigh Beach in Australia for the Leadership Capstone externship.